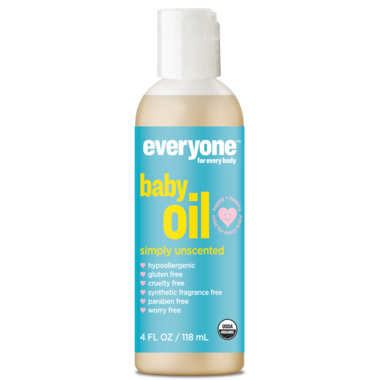 When baby soft skin needs a little extra love, Everyone™ Certified Organic Baby Oil is the gentle answer. This Baby Oil is a carefully crafted blend of rich organic oils to promote moisture and softness. We formulated this Baby Oil to deeply nourish your little one’s skin; great for removing cradle cap and perfect for moisturizing after a bath.